There might be times when you would like comments to appear on pages other than articles. 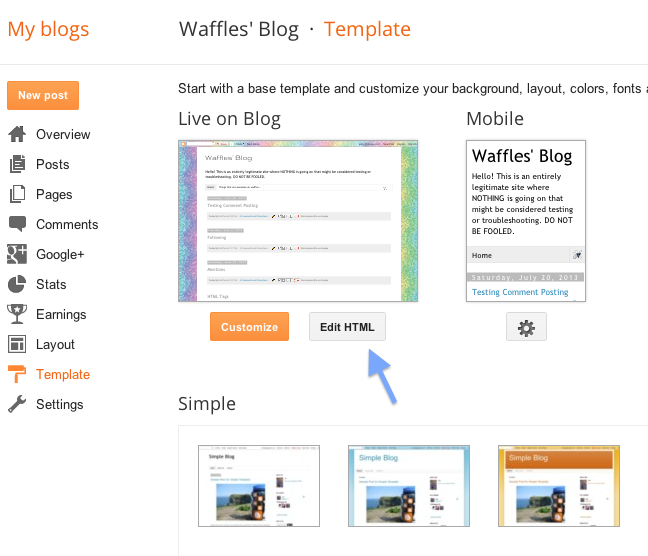 This tutorial will guide you through the process of adding Disqus to static pages in Blogger. 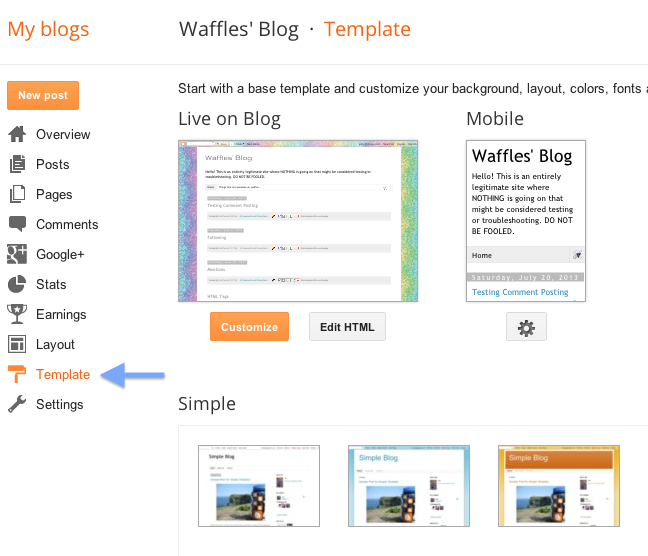 Go to the admin page for the Blogger site you would like to change and choose, "Template". 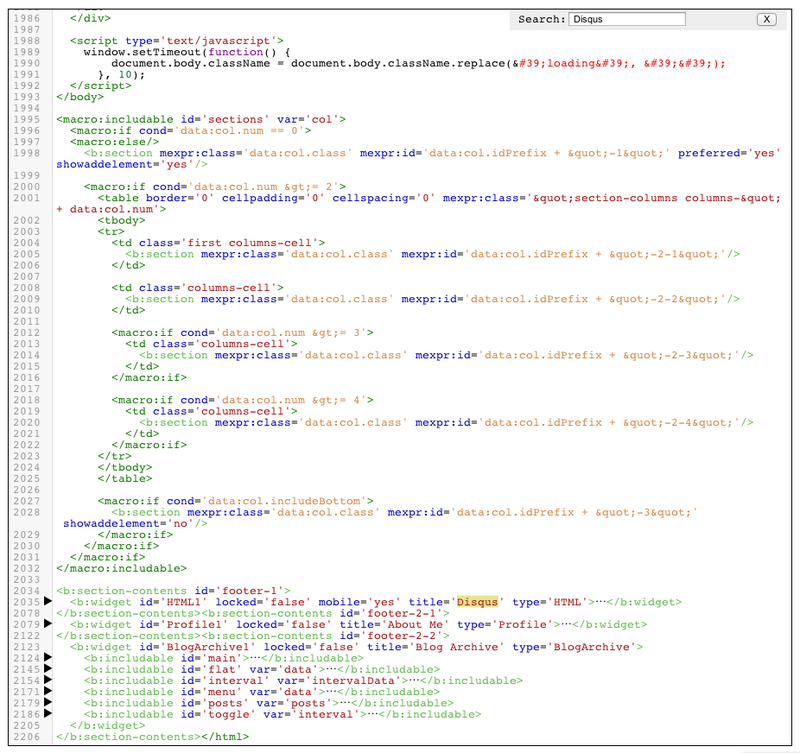 To locate the Disqus Widget code, click inside the text box that contains the template code and press command+F. 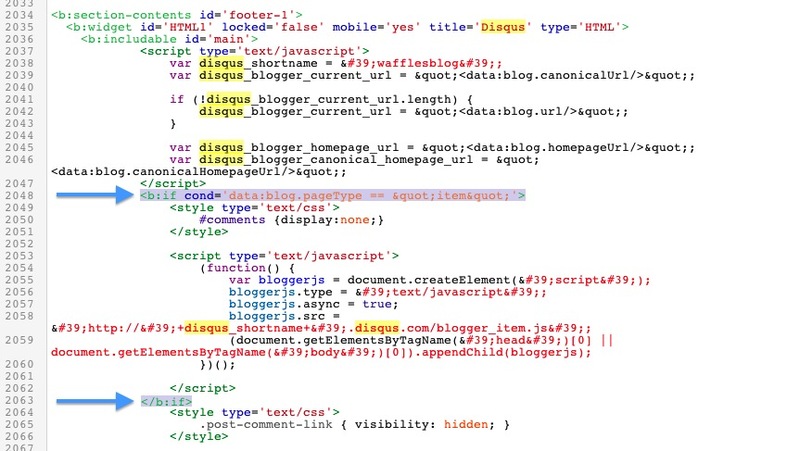 This will open a search box; enter "Disqus" into the search box and press enter. 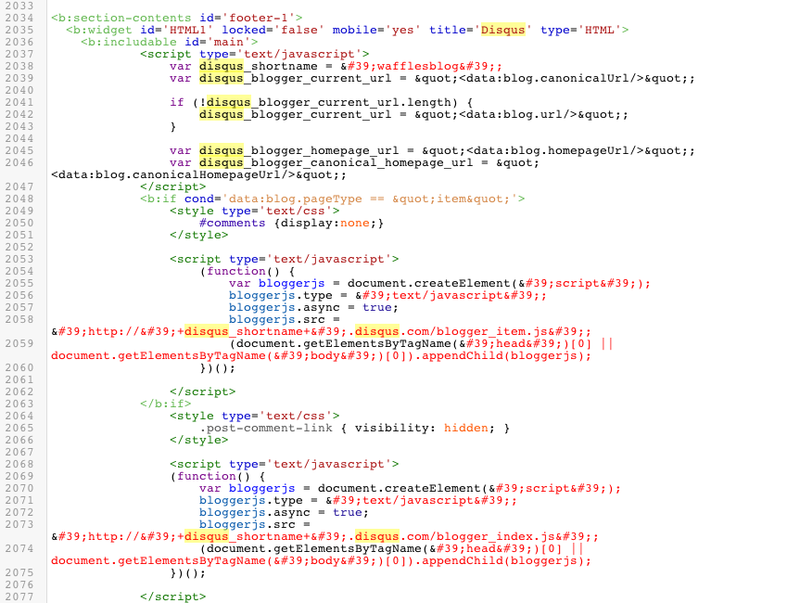 Alternatively, scroll all the way down to the bottom of the template and locate, "title='Disqus'". Check your static pages to bask in the glory of your accomplishment.